In the last three years, there have been many advances in treating hepatitis C, which can not only offer patients more treatment options but also shorter treatment times. Until a few years ago, there were only two treatment options for Hepatitis C. These treatments included pegylated interferon (Pegasys or PEG-Intron) in combination with weight-based ribavirin. Now there are several more. Hepatitis C is an infection caused by a virus that inflames the liver and can lead to liver disease if left untreated. It is spread chiefly through the infected blood of patients. In 2011, the US Food and Drug Administration (FDA) approved the first protease inhibitor to treat hepatitis C. The FDA approved Victrelis (boceprevir) and Incivek (telaprevir) to be given with peginterferon alfa and ribavirin in adult patients with liver problems who have not been treated before or who have not responded to past treatment. These medications work by decreasing the amount of hepatitis C virus in the body by preventing the virus from replicating. Victrelis comes in capsule form and is taken three times daily (every seven to nine hours) with a meal or light snack. Incivek comes in tablet form and is taken two times a day (10 to 14 hours apart) with food. Incivek must be taken with a meal or snack that contains about 20 grams of fat 30 minutes before each dose. In 2013, the FDA approved the first once-daily protease inhibitor, Olysio (simeprevir). Olysio can be given with peginterferon alfa and ribavirin or can be given with Sovaldi (sofosbuvir). This medication differs from previously approved medications because it can be given with another type of medication instead of peginterferon alfa and ribavirin. Olysio comes in capsule form and is taken once daily with food. Later in 2013, the FDA approved Sovaldi, the first nucleotide analog polymerase inhibitor. This medication works by preventing the hepatitis C virus from copying genetic material to replicate. Sovaldi is approved to treat four types of hepatitis C. Sovaldi must be given with ribavirin or with pegylated interferon and ribavirin. 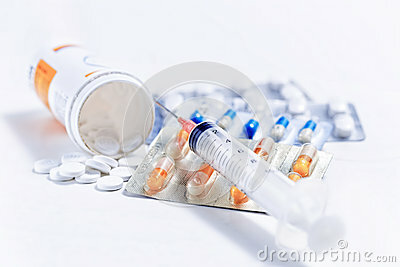 The combination given will depend on the type of hepatitis being treated. Sovaldi comes in tablet form and is taken once daily — with or without food. In 2014, the FDA approved Harvoni (ledipasvir and sofosbuvir), the first fixed-dose combination medication for hepatitis C. Harvoni combines Sovaldi with a new medication called ledipasvir. Harvoni works by interfering with the enzymes the virus needs to multiply. Harvoni comes in tablet form and is taken once daily. The FDA approved Viekira Pak (ombitasvir/paritaprevir/ritonavir/dasabuvir) later in 2014 to treat patients with chronic hepatitis C infection, including those with a type of advanced liver disease called cirrhosis (scarring of the liver). Viekira Pak can be given with or without ribavirin. This combination medication contains three new medications that work together to slow the growth of the hepatitis C virus. It also contains ritonavir, which is used to increase blood levels of paritaprevir. Viekira Pak includes tablets in which two ombitasvir, paritaprevir, ritonavir tablets are taken once daily and one dasabuvir tablet is taken twice daily. Treatment for hepatitis C usually lasts for several weeks at least. Fortunately, there has been some promising data about an experimental treatment that may reverse hepatitis C in as little as six weeks. Achillion Pharmaceuticals, Inc., announced that its experimental hepatitis C treatment may be able to reverse the virus in as little as six weeks. The treatment, ACH-3102, is meant to be used in combination with Sovaldi. Talk to your doctor or pharmacist about the various hepatitis C treatment options.